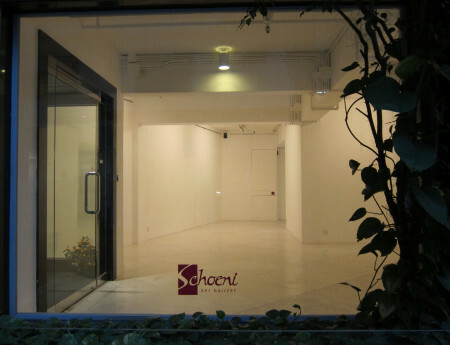 Schoeni Art Gallery is one of the world's leading galleries specialising in contemporary Chinese art. The gallery's mission is to nurture and promote rising talents and foster the growth of the contemporary Chinese art scene from the Mainland and from Hong Kong, where it is based. The late founder Manfred Schoeni worked with today's most established artists such as Liu Ye, Yue Minjun, Zhang Xiaogang, Zeng Fanzhi etc., at a time when they had no audience. His daughter, Nicole Schoeni is committed to this tradition of uncovering artists of such calibre for the future and to expand its focus to conceptual art. The gallery's commitment to art appreciation and art experience goes beyond just sharing expertise with collectors, it is also dedicated to educating all publics and to investing in the development of the worldwide audience's understanding of contemporary Chinese art notably by designing free educational programmes and making some, such as documentaries about the artists, available to all through the internet. Its commitment to the development of the art scene encompasses initiatives such as giving emerging artists opportunities abroad, or collaborating with institutions and patrons of the Arts.